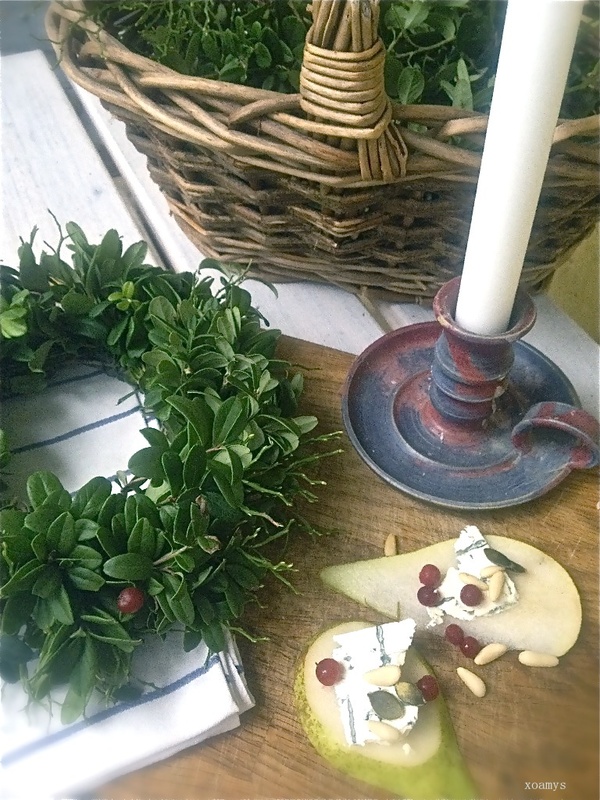 Ever since I was a small child my mother and I used to make wreaths usually for midsummer or christmas. 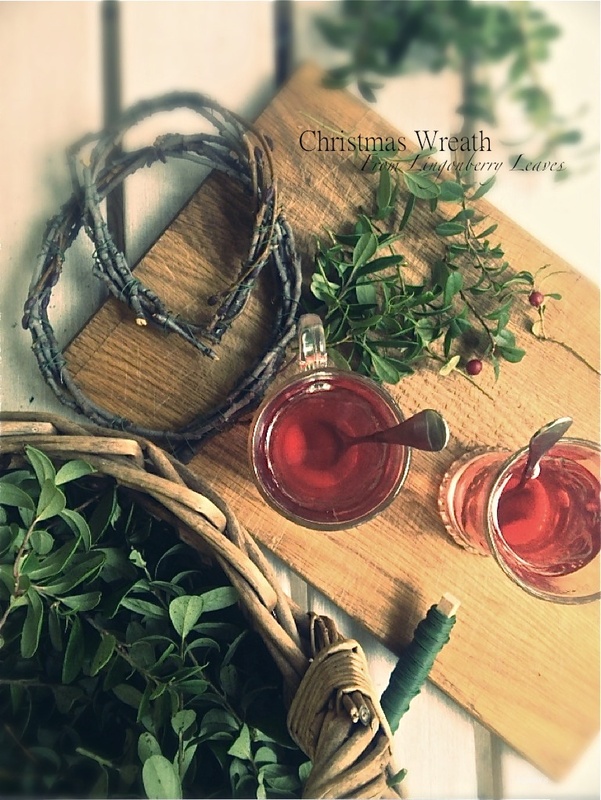 Something so simple, yet so beautiful and dear to my heart.. During this time of year, I love to make wreaths from lingonberry and blueberry branches as their deep green colour and red berries are perfectly seasonal. This material is also flexible and long lasting. These wreathes make beautiful decorations or center pieces for dinner parties. No only does this bring a warm memory from my childhood, but something homemade is always more special than store bought. 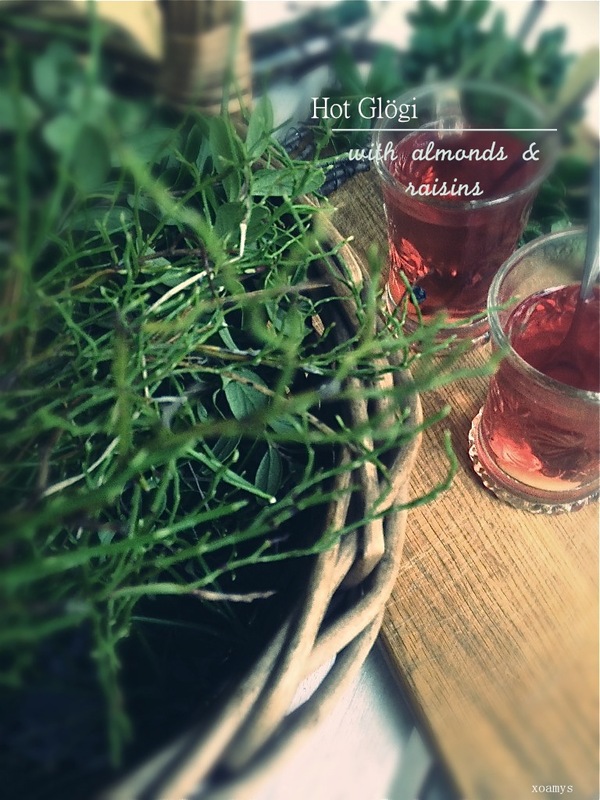 I had a great day drinking glögi (mulled wine), picking material from the forest and getting crafty. Kuumaa gögiä ja askartelua. Tein joulukranssin puolukoiden ja mustikoiden varsista. Omatekoisessa joulukoristeessa on jotain ihanaa ja erikoista… Joulu on askartelun aikaa.